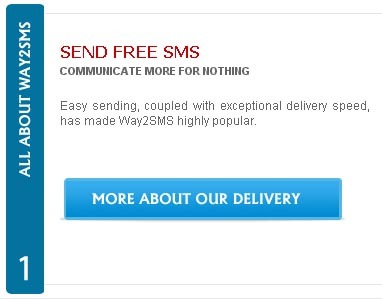 Way2SMS is the leading Free Unlimited SMS provider in India for past few years. This is because their Speed of delivery is Extremely Fast, incomparable with any of the other free SMS providers in the market. For past few months they are allowing to send 25 SMS at a single shot through group SMS facility. Go to http://way2sms.com and Register yourself with your Mobile number. Login with Mobile number as your User ID, the user panel will be as shown above. To start Sending SMS, Go to Address book and add your contacts manually one by one. 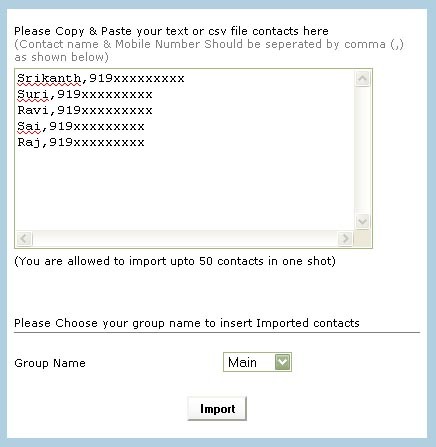 You can also Upload your Contacts in Bulk Using the Import contacts Option. By this way you can upload 50 contacts at a time. Once your contacts are uploaded, for security reasons, each and every contact will receive an sms, shown as below. Now, Create New Groups like “School”, “College” with the Uploaded contacts. A Group can have any number of contacts in it. The Group will be ordered in such a way that you can select 25 Contacts at once. Now just type your message and hit the send Button. 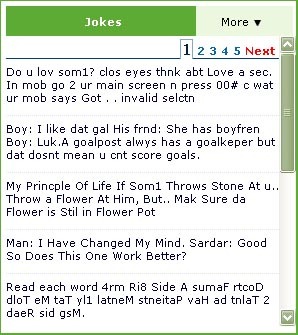 You can also send SMS to anyone using this Quick SMS Facility. Your SMS will be delivered in just 2 to 5 Seconds for sure, as of my Experience . Way2SMS is also famous for receiving Instant Mail Alerts on your mobile, its really very fast, am using it for past 5 months 🙂 . So, do anyone use Way2SMS before ? Share your comments here !! Hi, thanks for sharing this very useful information. You can also try free sms site http://www.smsze.com to send free sms anywhere in india just like way2sms but smsze allow whole 160 char to there users along with group sms. I need to send unlimited sms National & International sms but nobody are offering free unlimited or International free sms facility. 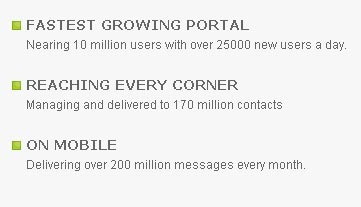 About 90% websites are promising free unlited international sms but they are not really providing this type of facility. So Please tell extract which website are offering this type of service in India or outside from India. Thank you for your reply in Advance. Sorry! Now they are only supporting 500 SMS per day quota, So no more unlimited SMS. why not use your GSM phones connnect with bulk sms s/w to send out SMS ? 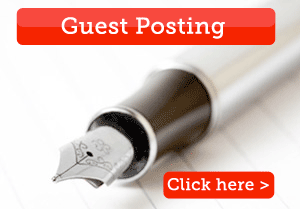 what is day quota in way2sms? how much send the sms for one No. in one Day??? Marketers prefer messaging over any other form of marketing. Thus check out providers with different services and make marketing fun and interesting.